First-year Cincinnati Bengals cornerbacks coach Daronte’ Jones has taken a unique path to the NFL. It took 10 years to get his first position coach job at the FBS level. It took 15 years to get his first NFL coaching spot. Still, he’s climbed the ladder quickly since getting those opportunities and is considered an “up and comer” in the coaching world. Jones was the assistant defensive backs coach with the Miami Dolphins the last two seasons but his start in football began at Lenoir-Rhyne in 2001 after his playing career at Morgan State ended. This isn’t the typical beginning for an NFL position coach. Jones has coached at nearly all levels of football since he began in the profession. He’s coached high school (in the state of Louisiana), Division II (Lenoir-Rhyne, Bowie State), FCS (Nicholls State), Group of 5 (Hawai’i), Power 5 (UCLA and Wisconsin), Canadian Football League (Montreal Alouettes) and the NFL (Miami). Not many coaches have had such diverse experience in coaching. In fact, not many coaches would want those experiences. These are stops that many coaches would have avoided. The majority of college coaches would want Jones’ current job, but few would take the route he took to get there. Often, football coaches forego opportunities in college football’s lower divisions because they worry about not being noticed by bigger programs and thus getting “stuck” at that lower level of football. Many coaches would have balked at joining the CFL or going to Hawai’i. The fear is that coaches in such remote locations won’t be seen by head coaches in the contiguous United States looking for a position coach. 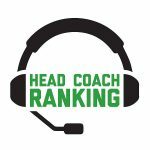 In this podcast interview during his time as assistant cornerbacks coach with the Dolphins, Jones discusses his coaching experience as well as the relationships he’s built throughout the years with coaches such as former NFL and NCAA offensive coordinator/head coach Norm Chow. It was the relationships created at some of these smaller-school opportunities that helped Jones progress in the coaching profession. It isn’t coincidence that Jones was hired by Marvin Lewis in Cincinnati upon the recommendation of Denver Broncos head coach Vance Joseph, a former Bengals defensive backs coach who was the Dolphins defensive coordinator when Jones started there in 2016. Joseph must have seen what other coaches had previously seen: a smart, hard-working coach that is adept at identifying and developing young talent. While the cornerbacks coach at Hawai’i, a school that isn’t easy to attract defensive backs, he was able to get young players and transfers ready for competition. During his one season at Wisconsin, Jones played an important role in the Badgers’ 10-win season and in identifying and developing players such as Hawai’i transfer Nick Nelson, a 2018 fourth-round Oakland Raiders selection. There’s experience in the group with Kirkpatrick. Jackson played exceptionally in his second season in 2017, but the remainder of the roster is relatively young and unproven. 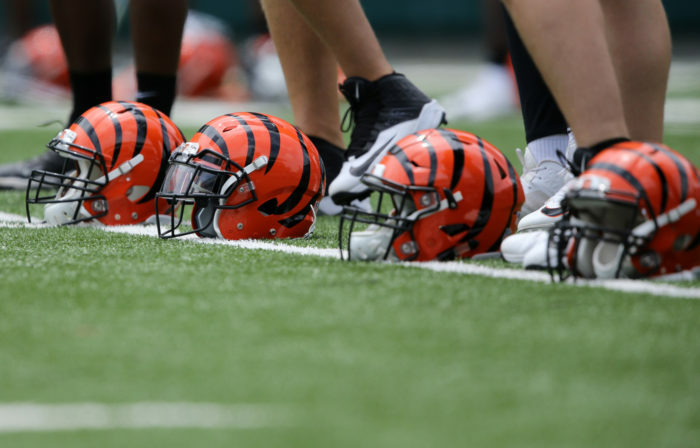 Coach Jones will be expected to improve the Bengals’ playmaking abilities at cornerback, as the team collectively finished only 20th in interceptions in 2017 and 27th in turnover ratio. Of the team’s nine losses in 2017, four of those were by four points or less (Houston, Green Bay, Tennessee, Pittsburgh). A takeaway in these games might have altered the fortunes of a team that was struggling offensively. The Bengals missed the playoffs for a second straight year in 2017 after enjoying five consecutive trips to the postseason. A return to the playoffs in 2018 may depend on the play of Jones’ cornerback group.